But he that is greatest among (within) you shall be your servant. There are two ways to look at that scripture. One is to see that the true purpose of life is to esteem others greater than yourself. The other is to understand the GREATEST IN YOU is YOUR SERVANT. But that is another paper for another time. Tonight I wanted to share something a bit more personal. I wanted to write something from my heart, to share what I have been going through spiritually, what I have been thinking about, and what has been troubling me lately. The greatest thing lately is that I have found that I have no real deep insight to share with anyone, meaning I have no manna from heaven… except the only message I know needs to be spread today, and it’s so simple and wonderful, that I was so surprised that sharing it recently in my video sparked such outrage. So shaken by this, I found myself so confused, that the simplicity of the message was lost on people who seem to be focused only on things that are complex and unattainable. Our EGO deceives us through our intellect, our desire to be intellectual, smart, wise in our own eyes, and when we allow our EGO to corrupt the very simple message of CHRIST IN YOU/AS YOU, Mankind’s lust for wisdom, power, and pride corrupts it, making the EGO god, and killing the very truth of who you are, through a bunch of unnecessary complications mankind created to keep mankind’s EGO in control, and keep the TRUTH of who we are hidden. Which is why once that TRUTH, in its simplicity is shared, people go OFF! 17 For Christ sent me not to baptize, but to preach the gospel: not with wisdom of words, lest the cross of Christ should be made of none effect. 18 For the preaching of the cross is to them that perish foolishness; but unto us which are saved it is the power of God. Now this is for those who can hear it… WE ARE TO TAKE UP OUR CROSS. Christ’s is our Cross. It is when we CROSS from the ignorance and death of who we think we are, to the Life of knowing who we truly are. But that is another paper indeed. I wanted to write this short paper on something that has truly been eating away at me. So much so, for a moment, it caused me to second guess about everything I do on this blog, youtube, and facebook. What began as a simple desire to share with the world insights I believe I have been blessed with, in hopes that it would somehow better the lives of those reading, has become something I truly wasn’t prepared for. Hence the title of this essay, “No King Here”. What I mean by this is, lately I been receiving a good deal of criticism and a great deal of praise, both of which I do not believe I deserve. Don’t get me wrong I love to provoke thought, and I love even more that something I write, or say, seems to do good in another’s life. Also, I don’t want to be misunderstood, I am not a fragile bird who gets all down in the dumps when people call me a “false prophet, deceiver, messenger of satan, possessed, evil, etc” to be honest I think those who do such have also put me on some kind of a platform; they do this by stating that I have been given some kind of power that “little old me” could possibly mislead people by such power. Now the idea that I can save someone spiritually or damn someone spiritually is not just funny, it is sad. Sad because I only share what I share because I have the desire to do so. In addition I do so without expecting anything in return. I am not a pastor, I don’t lead a congregation, I’m not the head of anything, not even my family, my wife and I are partners at that 🙂 and we both understand that we can only be who we are. We love each other in good times and bad. That is why our marriage is blessed, we don’t put unrealistic expectations on the other, and don’t believe the other to be anything but who they are. Which is something that more people should do, not just in marriage, but in life, along the road to spiritual enlightenment. Don’t make anyone to be a King over you. I often receive emails, like one today, where I am asked to give further proof of the things I write. Many of my readers, don’t really know if they should believe what is written, so they take my essays to their “spiritual leaders” for their okay… Even today, I was asked to give more proof, “scriptural” so that one reader could then provide more proof to their pastor, because their pastor says I haven’t backed up what is written with enough scriptural proof. Is it just me, or does someone see a problem with this. This person, has a) made their pastor to be the end all be all of their faith, and b) because of this has then come to me, to Prove myself more. The point of this whole essay is I have no need. I am not trying to prove anyone wrong or prove myself right, I am simply sharing what I believe to be true. And now it is up to you to do what you will with it. This is your life, your walk, your amazing journey, I am simply a passerby that has your attention for but a moment. And so, I offered not other scriptures to prove what I wrote to be true, nor should I ever have to defend or prove myself to anyone, but God. Which is why, the condemnation I received the other night really shook me to the core and I wanted this essay to be an explanation of sorts. You see, when I received the blow back openly and privately from sharing a simple video on the power of “Love”, it really sort of put the proverbial straw on the camel’s back and broke me. 20 Woe unto them that call evil good, and good evil; that put darkness for light, and light for darkness; that put bitter for sweet, and sweet for bitter! 21 Woe unto them that are wise in their own eyes, and prudent in their own sight! I found myself having to do what I never have had to do before, to answer critics. I dare say, even defend my beliefs, which don’t need defence. However, I felt that if I didn’t, people who may be paying attention would think that I had no answers for them. You see that is what the problem is to begin with… I am not the person people should turn to to learn about the things of God, sure I love to share what I know, but I am no spiritual leader, and I will not wear that mantle regardless of how many tell me that is who I am…. You see, where many others would be happy to have others think they somehow know more, or have learned more, or are greater than others, I see that my life is not my own, not of my own making, and thus, I cannot take any credit for anything anyone has learned. If someone has learned something from my blog, or videos, they did not learn it from me, I simply was there to help them remember what they already knew (which is why they know it to be true)… A person cannot teach anyone about themselves, or God… Only God can do that, and only they can do that. ———- 7Ever learning, and never able to come to the knowledge of the truth. Now if I may share what I believe Paul is warning Timothy about here, is not about the “last days of the literal world” – as this was advice he sent out long before you and I came on the scene. But I believe he was telling Timothy about how in the “Last Days of Our Ignorance” perilous times will come (be revealed). I believe the closer we get to seeing the very nature of God, which is love, peace, humility, compassion, acceptance, etc, and etc, that we will begin to see others in the world in a less than godly way. I believe he is saying, that the closer you get to the end of your carnal life, the more ugly the world and those around you will appear. The last line I quoted is by far my favorite, EVER LEARNING BUT NEVER ABLE TO COME TO THE KNOWLEDGE OF THE TRUTH… This really does sum up so many today. So proud of all they are learning or have learned that they would scour to the world to find one speck in another’s beliefs while ignoring the void of love in their heart. Now scripture is clear, one day, ALL WILL COME TO THE UNITY OF THE FAITH… But what is the KNOWLEDGE OF THE TRUTH that they are not coming to understand… Well it is the very thing I have been for weeks now trying to share here on my blog, facebook, and youtube, also it is the main “hidden” message of my book. The KNOWLEDGE OF THE TRUTH is the KNOWLEDGE OF WHO YOU REALLY ARE. Look at this scripture. Look at that for a moment, the Knowledge of the TRUTH (Christ), also means to come to the knowledge of the SON (child) of God, and to come UNTO A PERFECT MAN, and UNTO THE MEASURE of the STATURE OF THE FULLNESS (Notice is does not say “part of”, or some, or separate from, but it says FULLNESS) — THE FULLNESS OF CHRIST (which is the power and wisdom of God, God’s anointed revealed in you (who people think you to be) in the literal world) — The knowledge of the truth is to get people to get to the FULLNESS OF CHRIST in their waking life. — MEANING, we become CHRIST, not as Christ, not a part of Christ, but the FULLNESS OF THE GODHEAD BODILY. The very work I am laboring (only God knows why, for this is my greatest desire), the very thing I daily try to do is to get people to wake up to who they are. Not who they think they are, that is the ANTI-CHRIST… Who you think you are is the very enemy of who you really are, which is why you and I suffer and seem to be at war within ourselves. Which is why it is so important to get everyone to come to the Knowledge of who they are, so we will NO LONGER BE SPOILED by carnal philosophy, debate, deceit, traditions of men, or be tossed back and forth with every other wind of doctrine (teaching) there is. And as Paul warned Timothy of the things he will experience in the “last days of his own ignorance”, I believe I too am experiencing as well. Like Paul, I am saddened to see so many people quick to condemn, attack, and tear down a simple message of love and peace. I understand they can only believe what they believe for the moment, I understand they are not my enemy (though they may see me as their enemy) but it is still hurtful to me that I have come to a place where I can no longer just keep this great understanding to myself. I have veiled my face for long enough, meaning I did my best for years to give people what I believed they could handle and was palatable for them, understanding not everyone is ready to hear that everything they put their faith in since childhood is in fact a clever deceitful lie designed to keep them from finding out the beauty of who they truly are. Which is the only thing that will set anyone free, THE TRUTH. If you are waiting for salvation, you are not saved. If you are waiting for a savior to return you are helpless and in need of rescue. If you believe you are not worthy to be who you were created to be (the Image of God) what a sad lie you are living. It is like we have been trapped in a cage called “Ego” – and this non-existent creation we created has now become our task master. It now rules us, it keeps up scared, tells us we are no good, that we don’t measure up and can never measure up, it KEEPS US LIVING A LIFE THAT IS MORE LIKE DEATH…. the reason is WHO WE REALLY ARE is being held captive by this insecure, hateful, prideful, false identity which in a clever act of deceit has ensured its own existence by creating a religious belief that YOU CAN NEVER BE THE VERY THING YOU ARE! This lie is so well and far spread that people kill, condemn, attack, tear down, and torment others, and they do this in the name of a god, this false identity cleverly created in its own image. Which is why people today, strap bombs to their chests and kill innocents, or we go off to war against other countries in the name of this god, and make legislation to keep people impoverished, sick, in debt, and far from liberty. This trickery began long before we were here, and if people don’t wake from it will continue long after we (in this form) are gone. This lie dangles the carrot in front of us saying, if we only do this, or do that things will turn around for us. While also saying, we are imperfect, lost, dead in sin, hell bound, and that we can do nothing about it, that we must wait for some magic man in the sky to return, as opposed to coming to the revelation that the SAVIOR is within every one of us. The SAVIOR is our LIFE, which is hid in Christ, which is hid in who we think we are. You will find that the scriptures are all the things people state them to be, but you have to SEE the SPIRIT of what these scriptures mean to get out of the only hell (your ignorant suffering) you are trapped in. PLEASE READ THIS CAREFULLY! Both parts, for one speaks about how we are to perceive and treat others, for we are all one, and the next part speaks of who we really are and how we should understand ourselves to be. That’s right we need to stop thinking we are better than others for what we believe or how we live. That goes for EVERYONE, not one of us is better than the worst of us. And we MUST do unto others as we would want done unto ourselves, because in fact how we treat others is how we truly treat ourselves. Also, stop looking at ourselves as being the center of the universe and understand we are part of the whole, and the whole is the FULLNESS OF THE GODHEAD BODILY. Either ignorant of this (dead in Adam) or Risen (enlightened in Christ). Now look at the NEXT KEY INFORMATION! Let this mind be in you, which was also in Christ Jesus: Who, being in the form of God, thought it not robbery to be equal with God. I can’t spell it out any more plain than this. We are the exact same as Christ Jesus, and this is the KNOWLEDGE we must come to. We are all ONE IN THE SAME and as the SAME we are ONE. We are literally instructed to have the exact same mindset as Christ Jesus, meaning we must believe we too are the ONLY BEGOTTEN SON/DAUGHTER of GOD. That we can do nothing or ourselves. That our KINGDOM is not this world. That we are not of this world. And we MUST overcome who we think we are in this world. Meaning people, the EGO has got to go. Now I understand many people aren’t ready to hear that they will NEVER FIND SALVATION in confessing a literal name of a literal man from two thousand years ago, but I DO KNOW when they CONFESS the NAME OF CHRIST as THEIR OWN, when they PICK UP THEIR CROSS, AND DO AS HE/JESUS DID, that salvation is ours. And what will be will saved from? —- OUR IGNORANT EGO/ANTI-CHRIST – who is now sitting on the THRONE OF GOD (which is our mind, point to your temples people what is between them). 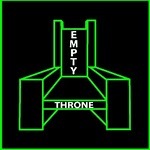 That’s right the ANTI-CHRIST sitting on the THRONE OF GOD, declaring himself to be GOD, is WHO YOU THINK YOU ARE… God’s throne is YOUR HEART/MIND. “KNOW YOU NOT THAT YOU ARE THE TEMPLE OF GOD” — And right now, who do you believe is in control of your life? — Most would say “who they believe themselves to be is in control” instead of dying to themselves, and saying I AM in control. Not my will (ego) but thine (God) be done. In any event, this is why I have been writing plainly to you all, speaking the way I have been speaking, and not really holding anything back. The reason is I know that a VEILED FACE (understanding) is not going to lead anyone into the promise land (freedom/peace/righteousness/purpose)… As we saw Moses who VEILED his face, didn’t do such a great job, but kept people in the wilderness until they died. And when I began sharing, at first it felt so liberating to finally step out from the fear of what others might think. I mean, let’s be real, I have nothing gain from any of this, and it is only my hope that by my sharing it will help others to also seek God’s face (understanding) for themselves. Not go to me, or some pastor, or religious leader who seems to have some answers, but go within. Pray “teach me the truth no matter what the cost”, ask questions and you will get answers, and be steadfast in it. Don’t ever stop, as I never stop but continue each day to learn more, to see more, and to be free more. I know God is faithful to answer every one of these prayers. So back to the purpose of this essay. Last night I took down my facebook page, but thanks to come emails I received I realized perhaps I don’t need to hide from what has been coming my way lately, but I should embrace it. It’s funny I don’t mind the attacks, but when people state I am the voice of God, or I am this, or I am that, I get very uncomfortable. The reason is I am no different from anyone, in fact I am, as Paul says, less than the least of you. I don’t consider myself to be a perfect, whole being (although I know we are all). I don’t consider every trial such a great pleasure (though I know it is). And I don’t have all the answers (Yet I know we all already do). You see part of the reason I do my videos in such a strange way is because I don’t want people to look to me as someone special, even though admittedly I love the comments I get when something I write or say has touched someone. But I barely know what I am going to speak about when I do a video, and like tonight when I sit down to write, I have an idea of what I may write about but then thoughts flood my head and I go elsewhere. You see, I know all I have, I did not earn, I simply came to believe it was meant to be. With faith all things are possible. I don’t consider myself as some guru, or prophet, or leader, that’s why I get troubled when people state “you are leading people astray”… As if any of us has the power to lead anyone anywhere. I can do nothing of myself (my ego)… Everytime I act of that insecure, prideful, mask, I get into trouble… even though I have come to believe that even that is carefully orchestrated to bring about a perfect end to my ignorance and yours. All things work together indeed. So, I wanted to run last night. Hide from it all. I’ve done it before. But then where would that leave all of this desire I have to share with people. I make it clear that I am probably a bigger train wreck emotionally than all of those reading or watching, so why all of the attention, both negative and positive? The truth is I don’t know, but I believe there is a great part of me that wants to be used to change the world for the better, a part of me that desires above all else to help people come to see how truly beautiful they really are… BECAUSE I DESIRE TO SEE THAT ABOUT MYSELF. You see, what we do to other we do to ourselves. What we sow we reap. But sometimes, I need to pause and question why am I letting some people’s comments bother me, both good and bad. And in that pause I find myself again. I find my head again (Christ). I find that I am where I am, and what others believe about me, or say about me, is their bag not mine. Look, people wanted Jesus to be their KING – their spiritual LEADER… And Jesus would have none of it. Because he, like I, understood to do so would be the very death of that person’s spiritual growth. The instant you make someone, like me or anyone else a SPIRITUAL LEADER to you, instead of just someone who is sharing something that you already know and simply have forgotten, you stunt your own growth and you refuse to enter into the land of promise that waits for you. You see, when those people were coming against me, I had so many other people encouraging me and telling me such wonderful things. Things like, you are the only one that has this truth, you are the mouthpiece of God, etc, etc… in fact they were saying that I was something greater than I am, and greater than them, and like Jesus when the people were amazed at what he had done in the land, he knew they wanted him to be their king, and like Jesus, I ALSO DEPARTED… I want no part of that. This is why I almost shut down my facebook account for good last night, and thought perhaps it was time to depart from everyone for good. People were starting to think higher of me than they should, on both sides of the equation. Some saying I am the mouthpiece of the devil, others saying I am the mouthpiece of God… the truth is, we are all both. When we are led by our ego, we speak from the flesh (devil/ignorance/lies/lusts)… when we are led by the spirit, we speak from the spirit (God/Truth/Love)… And as long as you can’t tell the difference between the two, you will be hopelessly doubleminded and at war within. I digress, so I departed for a night. Took a breather and was in prayer all night, deep reflection for those that don’t like the word prayer :)… Up until 4 am, in my bed couldn’t sleep. Telling myself all sorts of lies about myself, I don’t measure up, I’m not the best husband, father, son, friend, I am stupid, ugly, dumb, etc, etc… and this temptation lasted all night. And I knew that was all it was, but I also knew it would pass and I would shake it off me. You see sometimes, you need those moments where you condemn yourself to realize you are none of those things. You know when those times come, just understand that this (sin/foolish thinking) is in fact doing a good work for you, it is reminding you that when you condemn yourself YOU HURT YOURSELF, it is a great teacher this thing called the LAW of DEATH (ignorance). But if you are faithful unto this death, you will be given a crown of life for hanging in there and coming to the knowledge that you indeed are perfect, spotless, and beautiful in Christ (your true life). While I was in this DEATH mindset, one thing kept coming to mind. And it was how so many followed Jesus so long as he fed them bread… But the instant he said, you must be as he is, they said he was blasphemous, a liar, deceiver, and condemned him, lied about him… You see so long as he was opening up the scriptures bit by bit for them, they LOVED HIM, but the instant he said, you have to EAT MY FLESH and DRINK MY BLOOD – In essence, you have to be ME, they were like SEE YA JESUS! I will be no King over any of you, I am not a spiritual leader, I am just who I am, and I am the same as you, as Jesus, as anymore… for we are all ONE. Good ole Israel begged for a KING OVER THEM. God didn’t want that. God doesn’t anyone to come between the unity of God’s spirit. But carnal man (egokind) will always seek a King to rule them, to lead them, because they prefer being dumb sheep instead of realizing they are to be SHEPHERD’S THEMSELVES. So enter in, become the Shepherd, because… we are lights of this world, living epistles, the word of God revealed, the children of the most high, and to believe you are anything less is to SIN (miss the mark of who you really are). I apologise if my short absence caused anyone any trouble at all. I can’t promise it won’t happen again, but I can promise, that it is for everyone’s good, mine and yours. For everything that happens in life is destined to happen, and eventually it will all bring us to a place where the only King we will have, is LOVE (God is Love and Truth and Spirit). Next Article New Covenant You Say? I still love ya, I still am thankful for ya, I still want to hear more of what you have to say. I know you are not God or perfect, and neither are any of us, and nor do we have to be. People are going to hate on you, People are going to love on you. You will question yourself at times, it is normal, healthy, and needed actually. Life comes with thorns, and that is a good thing. It is all good when we learn to boast only in our weaknesses and how the power of God is revealed through them. We continue to be reminded unless he gives us the ability/strength we can do absolutely nothing, this is a truly a blessing. You could not stop doing this, you’d literally die if you stopped. You were made for this, born to do this, and will die “feeding the sheep’. You are so welcome Jacob. Thank you for blessing me many days and ways with ‘confirmation’ to things I’ve felt already in my heart, and ‘revelation’ to other things I just did not see AT ALL or comprehend fully. My prayer is that God uses all of your ‘haters’ to ignite an even HOTTER flame in you to speak out and write even MORE passionately and even with more boldness. You better not stop writing/speaking, we ALL will show up at your doorstep!! Don’t think we won’t.. Imagine that…lol! Hey Jacob I am new to your writings and videos as my mom told me about you. Glad to see that Christ is rising within you even though it is not a pleasant experience at times. But the joy that comes in the morning after giving birth to that wonderful manchild is so worth it. Believe it or not there are lots of people who believe what you are saying. There is a man (Tony DenHartog you can find online) in Australia that I have listened to for many years who teaches the same thing. Only he has overcome a lot of the comments that are still trying to hold you down. You will overcome this as Christ within us growing up can not be stopped anymore than a teenager can remain a teenager. But as you must know being around people there are levels of growth. Infant, toddler, child, pre teen, teen and then making that awful transformation from child to man, Lord the teen years are the worst. You ping pong back and forth from acting childish to acting like an adult and somehow you do manage to come out on the other side of it all. We can not stop our growth and growing pains hurt, so hang in there. I’m really proud of you and that you have come so far. Only spending lots of quiet time and very loving moments with Jesus can accomplish what you are growing into. I loved those moments with Jesus when I was first learning who I was and who we all are. Jesus is my life and my very breath and no matter how bad or good I act no one can ever take that away from me. He loves me truly, deeply. I love when I find someone else who is learning who they truly are and that the Kingdom of God is N U. Christ spoke to me once many years ago as He was sitting on me telling me I was His throne. It was a thunderous moment in my life and not fully until reading your words here did it make the most sense to me. Your words are wonderful and know that they are His words to give through you to who can receive them. Be blessed and know that there is a mountain top in your future to praise from. AMEN!!! 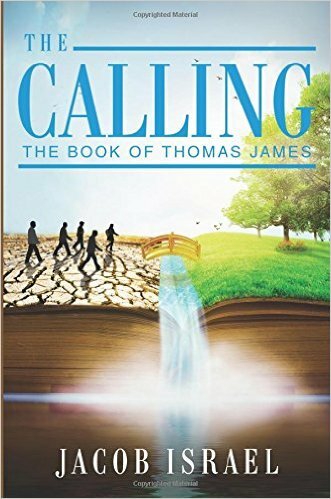 We must walk in the footsteps of our Lord, it’s hard to rejoice when people call you heretic and all sorts of thing but the a child of God…Like you told me the walk gets lonely… so you know that the only voice you will hear is God’s voice!!!!! You doing something that stirring so much admiration and controversy(I know it’s God doing the work AMEN)….Be Bless!!! Brilliant Jacob, Brilliant. You are only saying what Jesus Himself said after all, when He said, “Why do you call me good? Only God is Good. But then He also says, “But if you’ve seen ME, (if), then you’ve seen God”, but unfortunately as you know, the ‘I’m just me’, person is totally unable to ‘see’, ‘hear’, that 1+1=1. (yet). Fear not my brother, such temptations can only push you deeper into your union. After all you cannot go backwards. Where would you go? He within you has the words of eternal life. Nothing else quenches your thirst does it :). I know. Once caught no escape, thank goodness. Thanks always for your caring/sharing. much love brother to you and all the ones that took time to lift you up…. No darkness (negitive/carnal thoughts and imaginations) can ever put out the light (truth) of God. I sent you an email and I will call you next week. I was out of town when this came out and I just had a chance to read “No King Here”. My mother has gone to be in the presence of the Father. I can’t express how happy I am for her. I just want to say we are all in the same boat. No matter how much wisdom any of us have been blessed from our Father in Heaven, we are all, each and everyone of us, still very much attached to our ego. Jacob, that is really why you have been troubled and shaken by other’s condemnations. I am not judging you bro, so don’t take it that way. I am just being completely honest. I know what I am talking about here because I am the same way. Each and everyone of us just want to be loved and accepted. It hurts when others attack us, reject us, or what not. Sometimes we cry, sometimes we fight back, sometimes we agree with it all and do what others want so we can gain their acceptance and so called love. We all do this because we are all the same. It is the ego’s dance and we are all on the dance floor. We look to others for things that only our Father in Heaven can truly provide. How can any of us ever rest when we are constantly seeking what only our Father can provide us from other men? We cannot. Yes, the truth is, we are Christ but we don’t function as Christ in this world. Christ said my kingdom is not of THIS WORLD. This world is MAN’S KINGDOM. In this world, Christ is not King, he is the prisoner. In this world, our ego is king. No matter how much we learn about the truth of God, Jesus, Christ, and ourselves, as long as we are in this world, we will function through our ego. We can try as hard as we want to love others and treat others as ourselves but it truly is a vain effort because we have to work hard at it. Again, where is the rest in that? We have to work hard to control our emotions and bite our tongues when others anger us. We have to work hard to pick ourselves back up after others have hurt us and beat us down with their words. It all takes so much work. When are we going to realize we are still tilling the earth by the sweat of our brow? We are not here to fix our world. We are not here to even fix ourselves. We are not broken! We are here to learn the truth. And the truth is, NOTHING IS POSSIBLE WITH MAN(EGO) BUT ALL THINGS ARE POSSIBLE WITH GOD. People, this world/reality is not our friggin destination, it is OUR JOURNEY!!!!!! We are not here to play God and try to fix this place or ourselves or anyone else. This is not our home, it is not our Kingdom. It is our hell, our prison. It is the place of the dead. And like it or not, we are all still dead because we are all still attached to our ego. Sure we can say someone is good. But who’s standards are we basing that on? Our own. On the flip side of the coin, we can also say someone is an evil, wretched, piece of crap, but again, who’s standards are we basing that on? Again, our own. We can say we love this person or that person, but why do we say that? Because they praised us or made us feel good about ourselves? What happens when those same people hurt us? Will we still feel the same through that hurt and pain? We are kidding ourselves if we for even on moment think any of us are capable of true, unconditional love. We truly cannot even fathom what that truly is or means because the love we have in this reality is conditional. Don’t believe me? Look at all of the divorces, broken homes and broken families. I know a so called man of God who turned his back on his son because of his sexuality. Tell me, is that unconditional love? Again, I am not judging anyone, I am simply being brutally honest. I care less and less everyday what people think of me. I am finally waking up to the fact that this whole reality is only an illusion. It is a manifestation of the carnal mind (ego). Again, the mind generates our reality. The carnal mind, which we are all subject to generates the lie and the mind of Christ that none of us are subject to yet, generates the truth. The only other thing I can say is stop seeking men for anything and seek your Father in Heaven for EVERYTHING!! Jacob, be who you are and do what you do, man, just stop worrying so much about how others perceive you. What does it truly matter anyway? At the end of your journey, none of those people(egos) are going to be there anyway, it will just be God, so focus on Him and less on everyone else. That is all I was trying to say. Patrick, chill out dude. I recall no one calling you a cook or a quack. We believe what we believe acoording to what God has willed for us to believe so far. As far as there being a future Kingdom on this earth, maybe there will be, I don’t know nor do I personally care. I prefer to look towards Heaven and store my treasure there rather than WORK for something I hope to attain in the future. Personally, I don’t believe we are here to work our way up the ranks as Kings and priests. There is only one King who is Christ who is the entire body of mankind and His kingdom is not of this world; such is why the ego rules and the dance goes on here. Desiring to rule over someone else in the here and now or in the future is the vanity of all vanities. No one is better than anyone else. LIke I said before, we all dance the same dance; some dance a little funkier than others, but it’s still the same dance and God is the DJ. We are here to learn the truth by experiencing the lie. Through darkness the light of our Father will shine. There is nothing we have to work for and nothing we have to change. God is in control of it all and nothing can ever fail. All we need to do is go to our Father, nothing more, nothing less. He will provide us with everything we need because all any of us need is Him. I truly wish all of you the best and I look forward to the day we all know as we are now known and love as we are now loved. In the mean time peace to you all and happy journeys. Jacob, thanks again man for all of the shared e-mails and phone conversations. Your lamp is lit my man, all you have do is let it shine, God will keep the oil flowing. I love you bro. TJ, you know how much I love you man! Sorry I haven’t been on here as much. I have should have stated it many times before! I appreciate all you do, and look forward to talk with you again. Much love Jacob! I meant no disrespect to you partner. Obviously you think very highly of yourself, otherwise you wouldn’t have felt the need to point out your good works to me. Just remember to give God the credit for those works man. It is God who works in man to will and do of His good pleasure. It is God, not man who is good. It is God, not man who is the savior of all men. It is God, not man who draws us to Christ. God can’t fail, Patrick. There are no ifs with Him. Christ is who endures til the end, it is the ego, who we believe and think ourselves to be in this world that is crucified, killed off, cast into the lake of fire. There is nothing we have to do of ourselves because we can do nothing of ourselves. It is only God, just as it has always been and always will be. Everything else is an illusion. I truly would be sad to not read your posts, I understand you do not want to be put on a pedistal, besides that is alot of preasure, but you do not realise how rare it is to interpret God’s Word the way you have shown us, Its like you unlocked something in all of us. I recently found out my spouse has been cheating on me for a long time…and through all the pain I smiled in thanks to God, because I too believe in truth no matter what the cost, and felt this trial is a blessing, it has to be, God is remolding my preconceived ideas of what my life should be, and I know something better is waiting around the corner. As one we all need a break at times, and like a great friend we are sad when we dont see them for awhile, but so joyed when we run into them again. Where most have a misunderstanding is they have no concept that there are Sons of God who are sent into this earth (John 17:18) and that there are Sons of God who were cast into this earth (Rev 12:9). It is not about others our Father has everything in control because it was Him who give those who were cast out into this earth over to a reprobate mind and only our Father can remove this stupor from them. No matter how much we would like to think we have done something we can do nothing to change the Fathers will only He can change the minds of each Son. I say this because no man lead me to Christ the Father did. No man was around when the Father called me out only the Father was there to reveal to me who I am. It is important to understand it is about ourselves as we learn who we are in the Father. If I were the only soul in this earth the Fathers word would still stand true. To many focus on others instead of themselves. How can you possibly help others if you have not helped yourself first? We only share our experiences we have with the Holy Spirit with others nothing more, which is exactly what the scriptures are all about as you read of others like John or Paul who shared their experiences with others through their writtings. It is our desire that all come to the Glory of the Lord in all wisdom and knowledge but only the Father can do this. I am the way, I am the truth and I am the life because I am the Son of God but it is the Father who chooses who comes to Him. I know I didn’t choose the Father when He called me out He chose me. Those who have been sent into this earth have been ordained to bring forth truth, to shine our lights so that all can see the way and understand who they are in the Father. Pray for your brothers this is all you can really do no matter what your ego tells you otherwise. The only pain I have is seeing and hearing the pain of others so I ask the Father that my light shine so that others will not be afraid while in the darkness of thier own minds. When I say I love you I have no concept of the meaning of this word Love, not while here in this earth using a carnal mind but I can and do say I love you in the Spirit in which we all are in the Father who has all understanding. Early on in our relationship, my husband was the first man in my life to say to me, “I will not be your God.” Most men, up to that point, had demanded that position. Especially in the religious system. I say that to say this to you: They could only be God to me, if I wanted/needed them to be God. It is because of that experience that I am able to quickly recognize when someone (man or woman) is trying to fill that role. I can, without a doubt, say that I have not had that experience in my interaction with you or your writings/videos. Quite the contrary. Your expressions continue to awaken the Christ in me, revealing, to me, who I really am. If they don’t, I will choose to dismiss them. That is my “responsibility”, my God-given “ability-to-respond” to Him, if I am willing. That is the key. So many, I used to be one, are looking for someone to be their source of spiritual nourishment. It reminds me of a mother I saw chew up her infants food & spit it into their mouth. Only because, she was feeding them something that was beyond their capability to ingest. There are many spiritual infants, of all ages, who will goo-goo & gaa-gaa at you only to spit it back in your face, followed by a stern “prove-it!” They’re just not ready for the responsibility of their own truth. And because each of us have an ego & are very capable of getting carried away by others compliments, it is something we all must maintain an awareness of. It is just as important to be aware of the negative comments that feed the part of our ego that tells us we deserve to be less than who we are. Be who you Be Jacob. I have a heartfelt appreciation & understanding for all that you suffer in order to bring forth the expression of Christ that you do. Many are hung between two opinions whether to follow what man (ego) tells them or what the Father tells them (Spirit). If they follw the truth listen to the Father (Spirit) if they listen to man (ego) then they listen to their own thoughts and imaginations. Most when given this choice who listen to themselves never say a word. (I Kings 18:21). Never let man (ego) cause you to doubt in the Spirit in which you are and leave what you are called out and sent here to do. Keep up the faith brother be the Son of God you are created to be and Shine Brother Shine in this world of darkness.